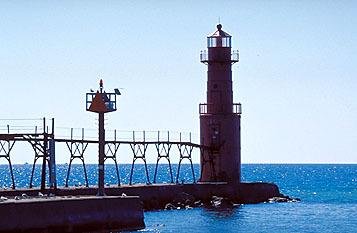 This tower was built in 1908 to a height of 26 feet, with a Fifth Order Fresnel lens. In 1932 the tower was raised to 42 feet by adding the wider base which is visible in the photograph. The light is still an active aid to navigation.